A Nasa spacecraft has discovered a new gully channel on the surface of Mars which may have formed only within the last three years. According to Space.com the feature was not present in HiRISE photos of the area taken on November 5, 2010. While the Mars gully looks a lot like river channels on Earth, it likely was not carved out by flowing water and may have resulted from activity of carbon dioxide frost. 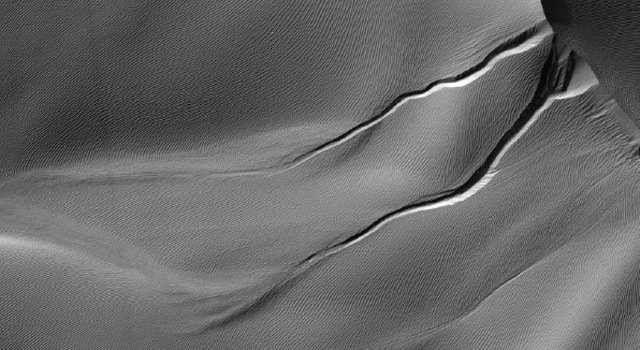 Gully or ravine landforms are common on Mars, particularly in the southern highlands, Nasa said. Th images show that material flowing down from an alcove at the head of a gully broke out of an older route and eroded a new channel. The dates of the images are more than a full Martian year apart, so the observations did not pin down the Martian season of the activity at this site. 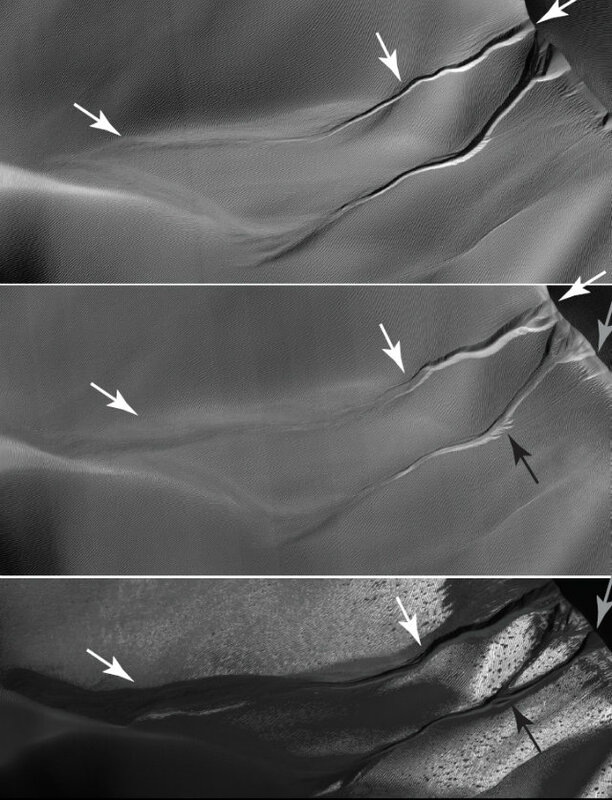 Before-and-after HiRISE pairs of similar activity at other sites demonstrate that this type of activity generally occurs in winter, at temperatures so cold that carbon dioxide, rather than water, is likely to play the key role.